The latest Toyota Corolla has all the modern safety features. The foremost feel when entering is of the roomy cabin and decent drive quality enhance comfort to ride. It is the desired combination of practicality, affordability and latest safety features so it is rightly called excellent value for money. It is an iconic compact vehicle of the carmaker and inclusion of active safety assistance would satisfy all those seeking sporty automobile with maximum features for protection of riders. Rear seat riders are quite pleased due to legroom they have to enjoy the ride. Four cylinders engine with continuously variable automatic transmission surely lets you drive this vehicle with full zeal. The manual gearbox is also available as an option for the buyers. The base model comes with a decent range of cabin features like 6.1 inches touch-screen, adaptive cruise control, automated emergency brakes and revised panel for instrument controls. With an array of updates, it becomes hard to find fault in this new model of Corolla. In all trim levels, only 1.8 litre engine is fitted that has 132hp and 128lb of torque. It is quite cheap to own as well so definite advantage over other options in this segment. The two different versions of this car are saloon and hatchback but they are quite similar in looks. Both versions perform equally well on fronts of efficiency and comfort. Some questions arise about the drab interior but it can be ignored due to superiority in other areas. Styling is not very appealing so it does not stand out in the parking area. The two trim levels become more appealing because of alloy wheels and alterations in front and rear bumpers. But nothing is going to make them sporty in look. The driving experience is not thrilling but handling is commendable with good ride quality. The smooth ride has been ensured but nothing to boast off as plush vehicles do. Engines are capable of decent output and refined too but the punch is missing. Lightweight steering of the car is to drive with confidence. Rear suspension new technology allows it to perform well on curves. Most of the jolts absorbed to keep the ride smooth but sometimes becomes firm. Driver seat height adjustment is possible and in high trim levels, it can be done electronically. Synthetic leather seat covers may not give right kind of lavish feel but prove durable. 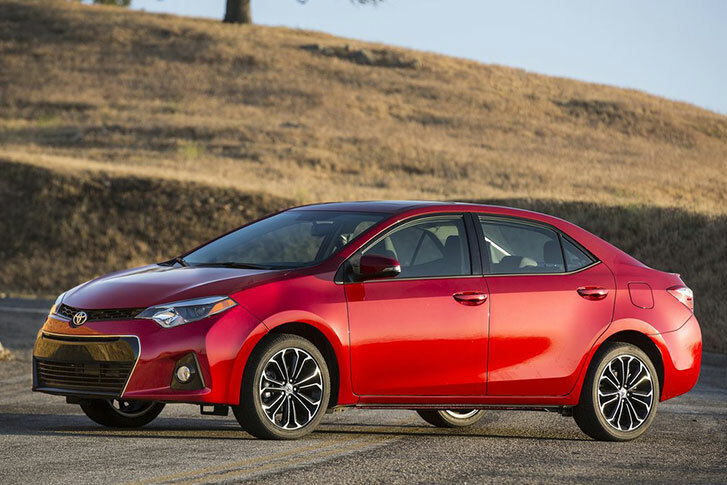 Among compact sedans with sophisticated specifications Corolla cannot compete but keeping in view the price one should not expect anything luxurious. Efforts are being made by the engineers to put forth a decent challenge. It is exceptional in area of safety features that are present in all models alike. Among small cars it offers splendid protection to the riders.